Bully sticks are becoming more and more popular and with good reason. 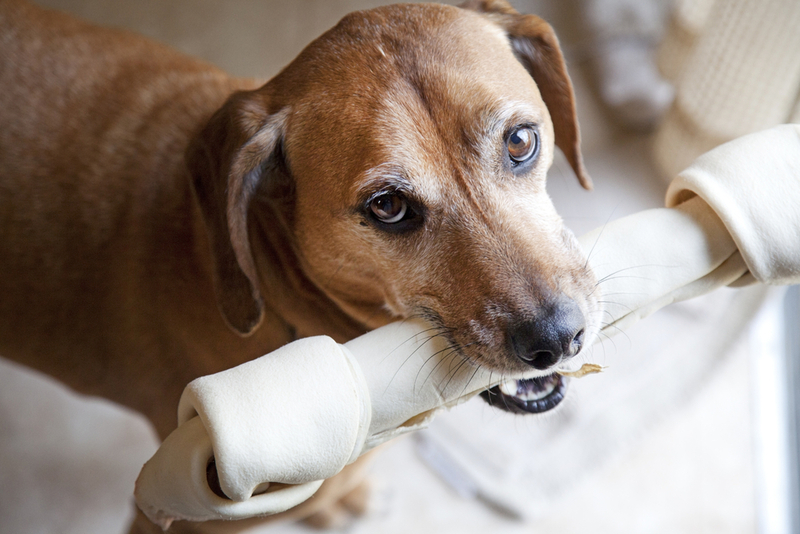 These long-lasting treats are loved by almost every dog and they’re full of benefits. 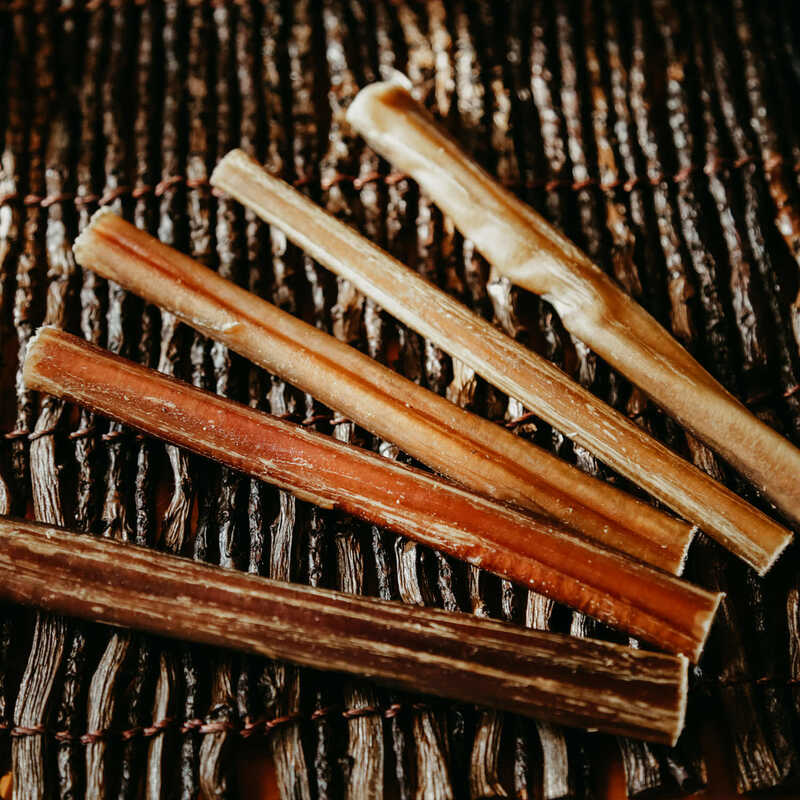 Unlike rawhide, which is made with different chemicals and some unnatural ingredients, bully sticks are full of healthy perks. Bully sticks are made from a single, natural 100% digestible ingredient. In fact, in the United States, the USDA regulates the production of bully sticks to ensure they’re made from all-natural ingredients and free of pesticides, dyes, and chemicals. The treat is purely beef pizzle; in other words, it’s 100% meat. Bully sticks are one of the only fully digestible chew treats on the market. Aside from being made from a single, all-natural ingredient, bully sticks are full of other health benefits. They are very high in protein and low in fat, making them a suitable choice for dogs trying to lose weight. Because they’re low fat, you can offer them more often without worrying about adding excess fat to your dog’s diet. Beef is also an excellent source of amino acids, magnesium, and calcium, which promotes the health of your dog’s skin, coat, muscles, and brain. They’re a superior chew compared to other types of long-lasting chews. Bully sticks are completely digestible and therefore much less likely to cause a blockage in the digestive tract like rawhide. Bully Sticks also do not splinter or break into chunks like hooves and other chews. Bully sticks are an excellent for dogs’ dental health. Since periodontal disease is increasingly common in our canine companions, combatting it can be difficult. Although they won’t replace regular dental cleanings by your veterinarian, the chewing and gnawing required to work through a bully stick scrapes off plaque and tartar before it sticks to your dog’s teeth. Bully sticks come in a wide variety of shapes and sizes, which means there’s a perfect bully stick for every dog – whether you’ve got a 2-lb. Chihuahua or a 200-lb. Great Dane. There are many varieties of bully sticks including thin bully sticks, extra-thick bully sticks, and the tried and true regular bully sticks.Every bully stick is packed with the same health benefits regardless of shape or size. 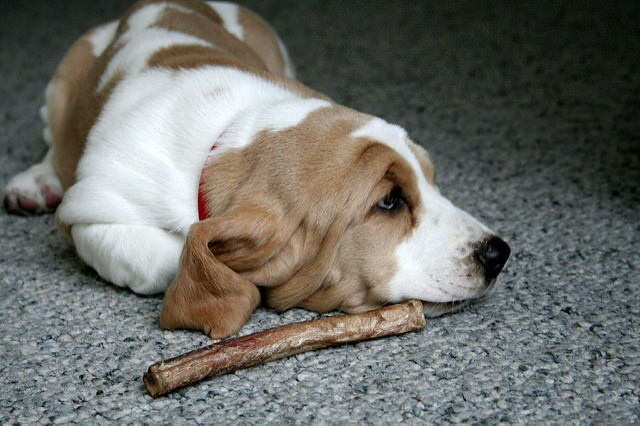 Almost all dogs LOVE the flavor and intuitively grip the bully stick for gnawing. 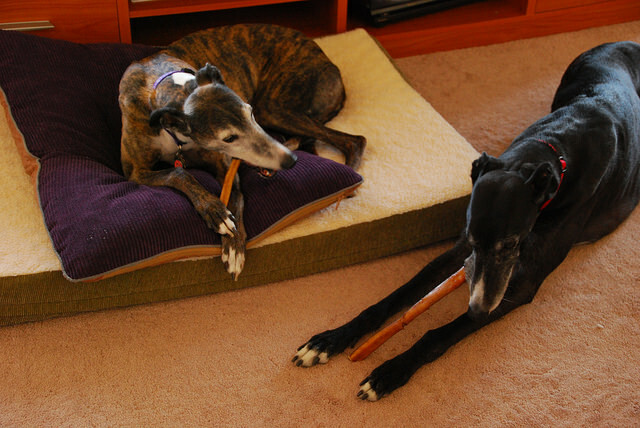 Bully sticks are generally sustainably sourced, depending on the company you buy from. One of the most important reasons is because bully stick manufacturers work with beef suppliers and farmers to use the entire carcass of cattle. Since pizzle generally isn’t anything humans want to see on a menu, they make an excellent choice for dog treats. When the cattle are sustainably and ethically raised, you’re left with a treat, like our Project Paws® line of bully sticks that’s all-natural and made from grass-fed, free-range beef; something you’d pay good the butcher good money for! By using these leftover beef products, we’re helping reduce waste and get as much use as possible out of the animal. Every package provides meals for shelter dogs!